Skagit Kid Insider has your guide to Summer 2019! 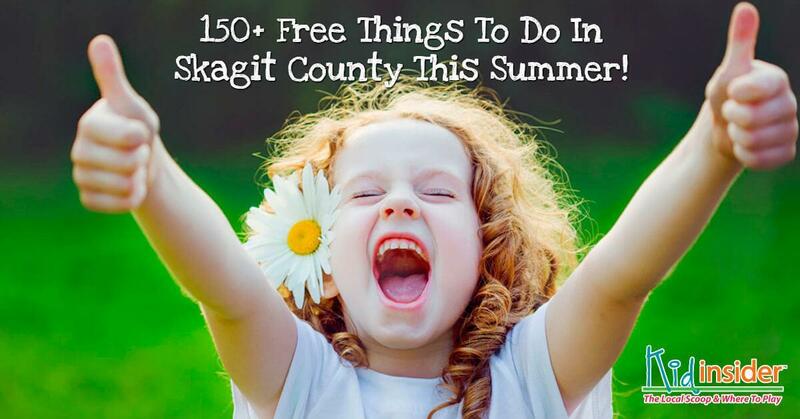 We have included over 150 FREE summer activities for you and your family to enjoy in Skagit County! Whether you live in Mount Vernon or Anacortes, Burlington, Sedro-Woolley, La Conner or any of our smaller towns you are within 10 minutes of summer fun on any given day. Looking for things to do with your kids this summer? Look no further!